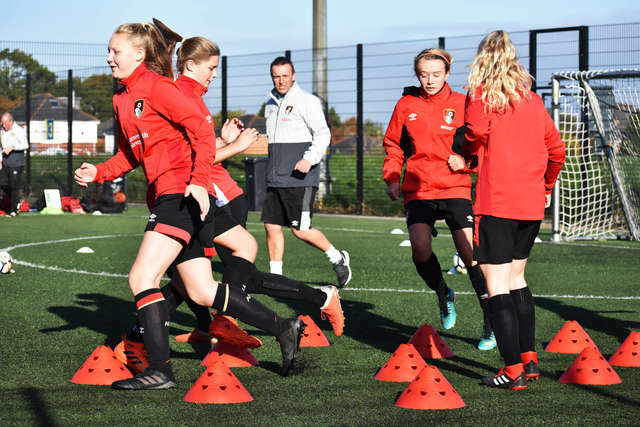 AFC Bournemouth’s Community Sports Trust put on a special training session for the girls teams during the half term break. 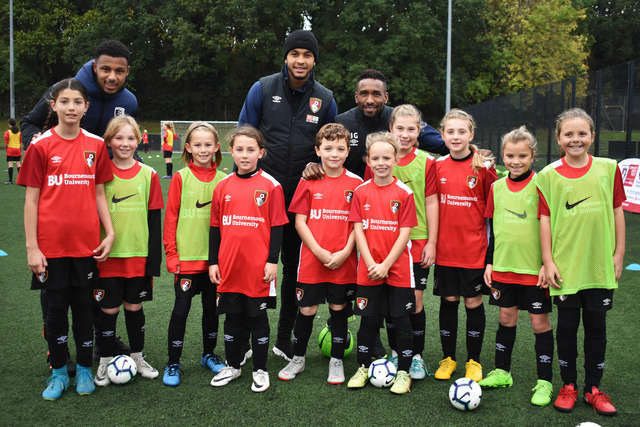 Cherries stars Jermain Defoe, Joshua King and Lys Mousset visited the David English Sports Centre where the under-10s, under-12s, under-14s and under-16s, all sponsored by Bournemouth University, were training on Thursday morning. 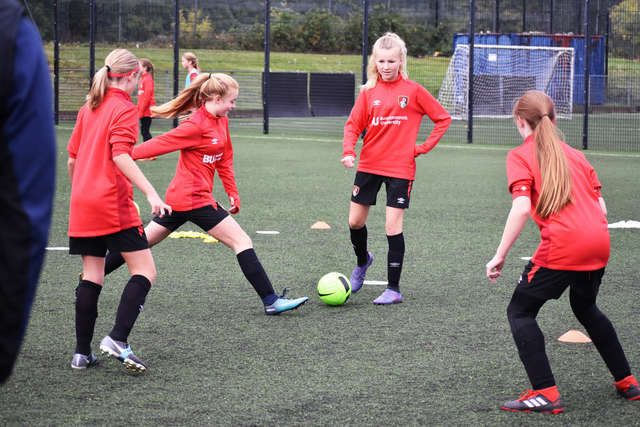 The session began with skills-based drills for the four sides, who have all started well in their respective Hampshire leagues. 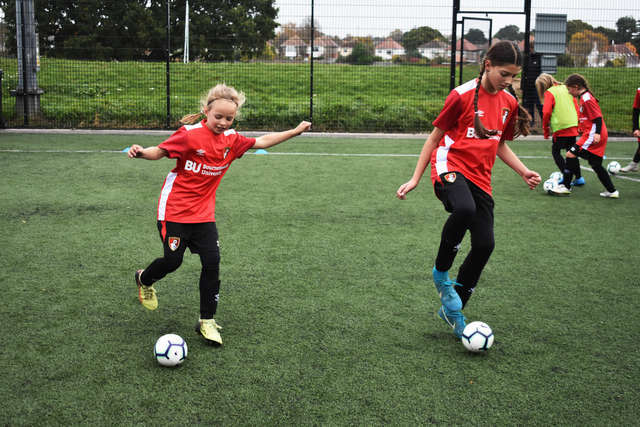 Approximately 50 girls were participating in the training sessions, just a day after they had played half term fixtures against either Exeter, Plymouth or Crystal Palace. 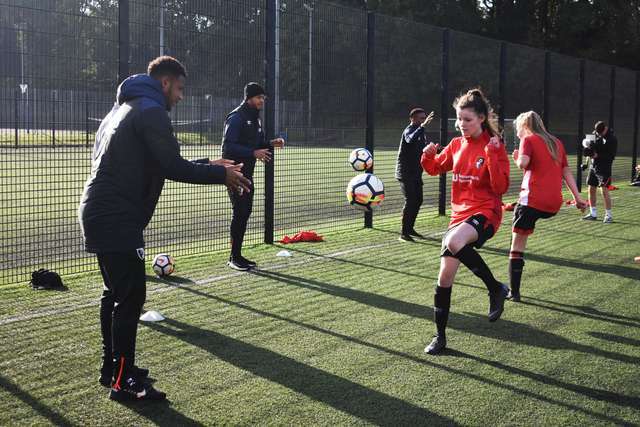 With the sides working hard, they were in for a treat as Defoe, King and Mousset turned up half-an-hour in. 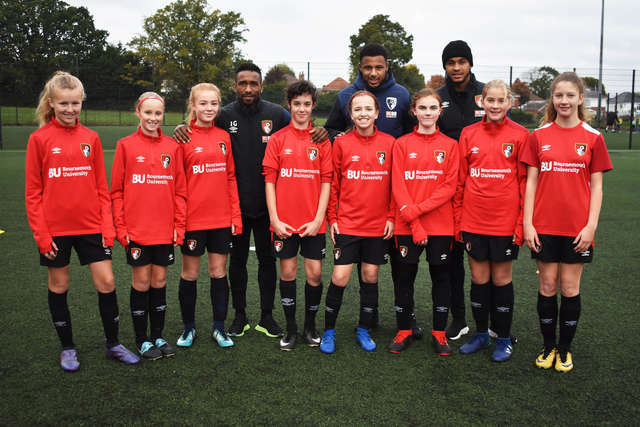 The strikers joined in with each age group, answered any questions the girls had and subsequently posed for photos. 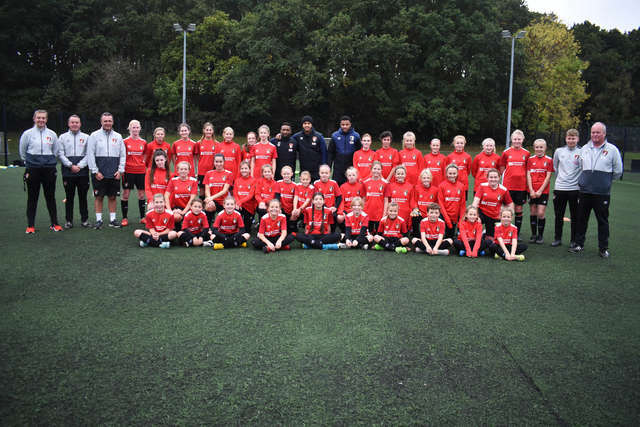 During the session, afcbTV spoke with head of community, Steve Cuss, who shared his delight at the guest appearances. 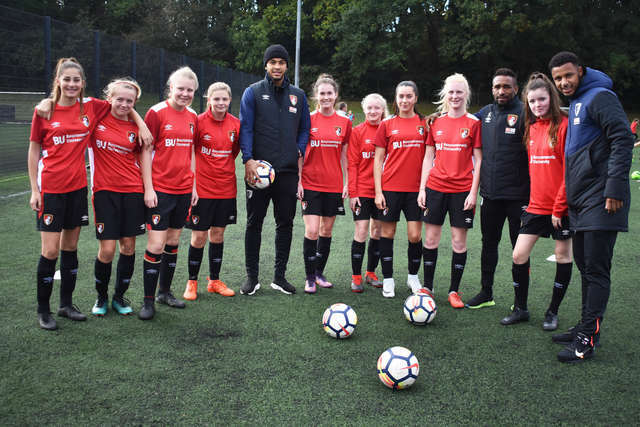 “We all need role models and the girls look up the players, so them coming down will provide motivation and inspiration,” he said. 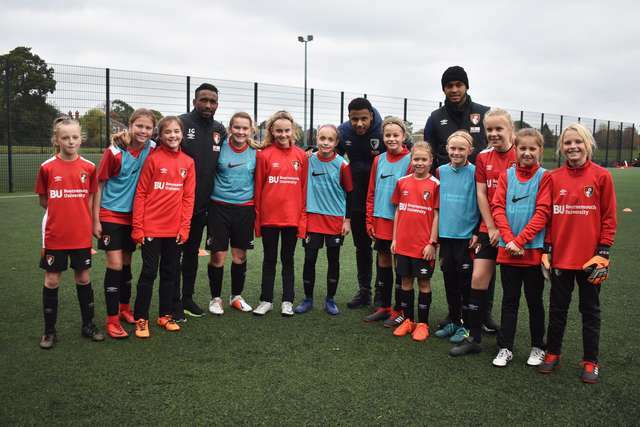 “At their age, it’s all about development and we’re really pleased with the whole girls and women’s programme in general”. 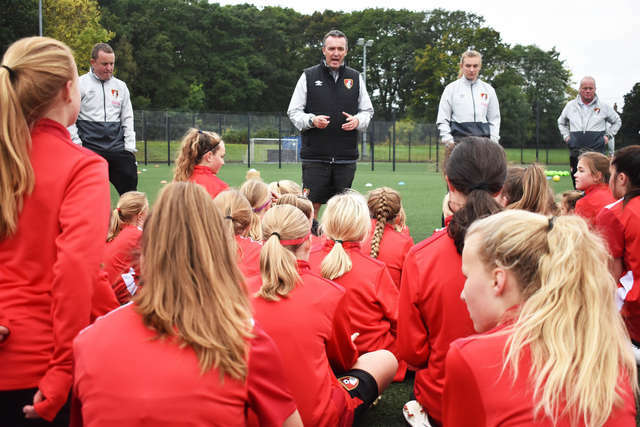 Ian Jones, who is in charge of the regional community partnerships at Bournemouth University, also spoke highly of the players and the growth of the girls’ programme in general. 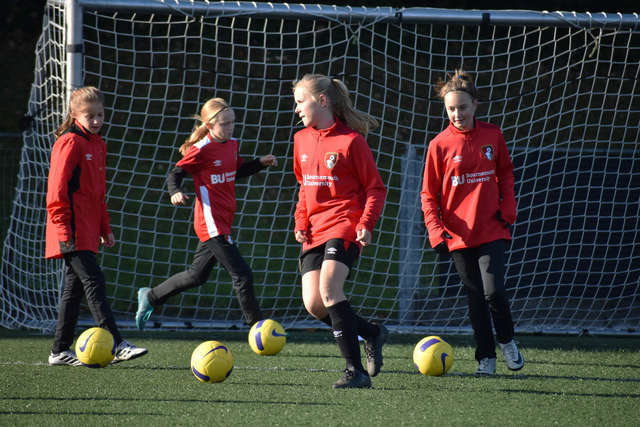 “Girls football is expanding so quickly and it’s really great for the local area,” he began. 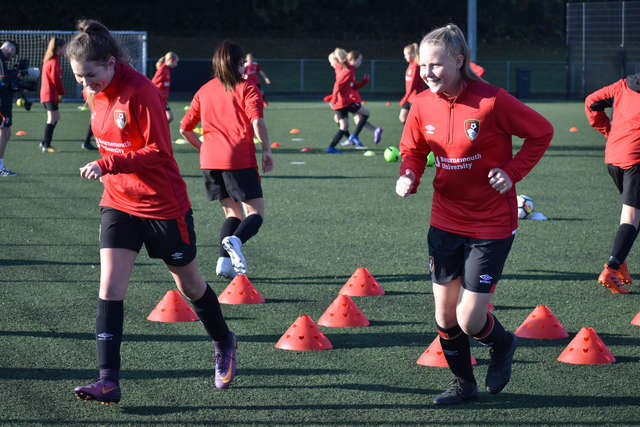 AFC Bournemouth would like to extend its thanks to Bournemouth University for its ongoing support of the girls’ teams.